Great globes for student desk activities. 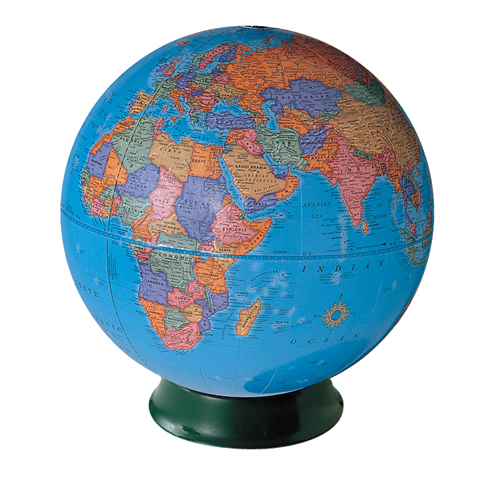 The 9 inch Political Globe contains a wealth of information and is well suited for grades 4 and up. Crisp contrasting colors help in locating political units. The globes are mounted on plastic clearview base. Crisp contrasting colors used for ease in locating political units.